You are used to relying on your gadgets every day, so when Mercury Retrograde forces your devices to fail, you may go ballistic. Unfortunately, it will neither relieve your stress nor help you force technology to be on your side. As inconvenient as it may be, you’ll need to find an alternative information source for the next two weeks or so. On the bright side, you never thought that exploring a new field to find a new solution is really a problem. You enjoy good brain work, especially if there is a challenge you need to overcome.  Your communication skills and excellent decision-making abilities will help you adapt to Mercury’s disruptive influence and even make the best of what you are given.